Tesla (TSLA) CEO Elon Musk emerged from a Manhattan federal district courtroom Thursday afternoon with a renewed opportunity to resolve a dispute with the U.S. Securities and Exchange Commission outside of court. “I’m very happy with the results and very impressed with Judge Nathan’s analysis,” Musk told reporters after a nearly two-hour hearing during which Musk’s and SEC lawyers argued whether Musk should be held in contempt. Judge Alison Nathan ordered the parties to confer for at least one hour over the next two weeks to try and settle their disagreements over Musk’s February 19 Tweet. “Tesla made 0 cars in 2011, but will make around 500k in 2019,” Musk said in the disputed tweet, which was later corrected to say the company would build about 400,000 vehicles and reach an annualized production rate around 500,000. The SEC argued Musk should be held in contempt based on its position that his tweet violated the court’s prior order requiring him to obtain pre-approval from a designated Tesla representative before posting tweets that contain or reasonably could contain information material to Tesla or Tesla shareholders. The order was based on an agreement between Musk and the SEC after the SEC filed an action alleging fraud against Musk for an August 7 Tweet in which Musk falsely claimed to have secured financing to take Tesla private. The attorneys spent the majority of their allotted 45 minutes answering Nathan’s questions concerning language of the negotiated consent order. 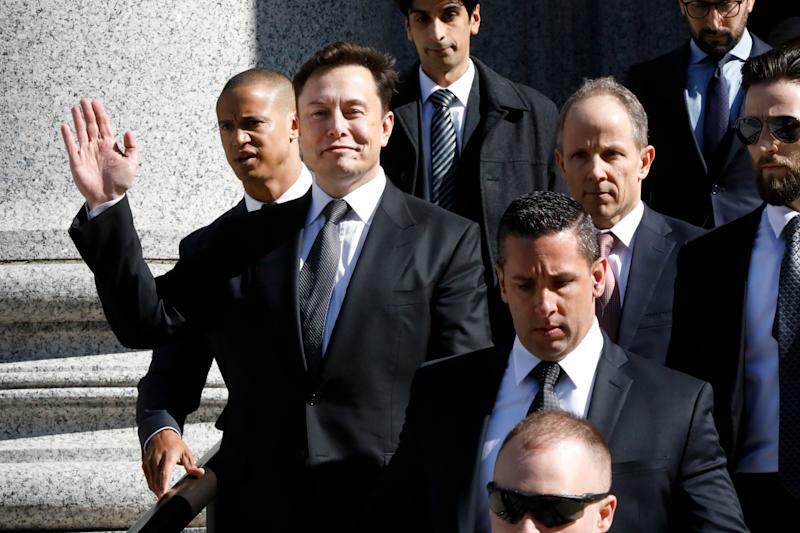 Musk’s lawyer, John Hueston, argued that Musk could not have violated the order because before posting the tweet he determined its contents to be immaterial, and therefore outside the purview of the order. 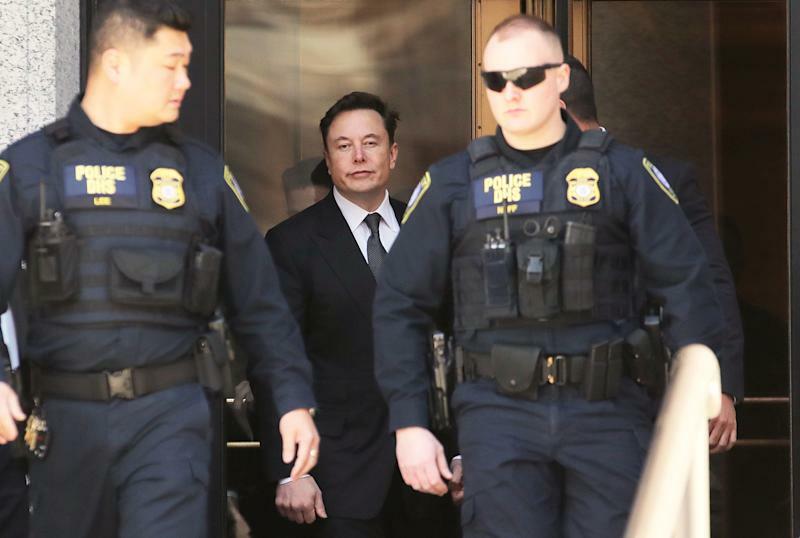 “There should have been a knock at the door,” Hueston told Judge Nathan suggesting that the SEC should have attempted to work out its dispute with Musk before filing a motion to bring the matter to court. The case “screams of working it out,” Judge Nathan responded. Musk appeared serious and engaged throughout most of the hearing, and laughed along with the judge and others in the courtroom during a hypothetical question from Nathan asking whether a tweet could be edited. Although the SEC’s motion was silent on how the court should penalize Musk if he’s held in contempt, the SEC’s attorney said it would like the court to reject Musk’s argument claiming he has authority as arbiter of which communications contain material information, and for Musk to report to the court periodically concerning his approved and non-approved communications. If Musk and the SEC fail to reach an agreement, and Nathan holds him in contempt, the court has leeway to impose additional civil fines, further restrict Musk’s social media communications, remove Musk as CEO, as well as remove him from the company’s board. However, Nathan acknowledged that a finding of contempt amounted to “serious business” that the court should be careful to impose. Tesla reported a 31% drop in quarter-over-quarter deliveries Wednesday. In a note, JPMorgan analyst Ryan Brinkman said the decrease undermines Musk’s legal defense against the SEC. While the Judge’s questions did not focus on Tesla’s quarterly performance, Musk’s lawyer did argue that Tesla’s trading volume, stock price and analysts did not react to the February 19 tweet.